How to restore system default settings in ubuntu 16.04? Not the answer you're looking for? Browse other questions tagged unity menu system-settings unity-control-center or ask your own question. How to restore Unity Buttons style to default? Accidentally uninstalled Ubuntu 14.04 system settings. How to get them back? 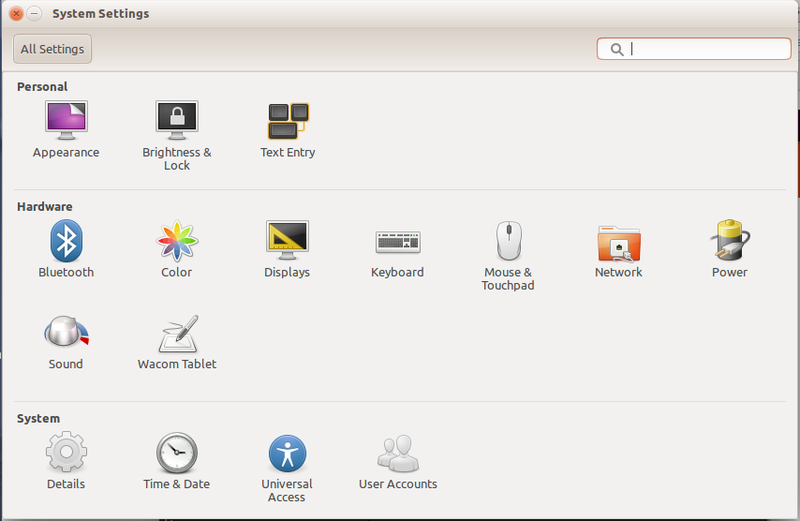 Ubuntu 14.10(Utopic Unicorn), Displays menu is Broken? How can I enable the Irish language for the desktop on Ubuntu 14.04?